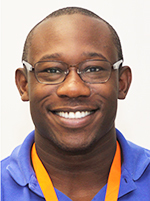 Dimitri Laurent, MD, joined the University of Florida Department of Neurosurgery residency program in July of 2016 after graduating from New York Medical College with a class rank of six of 192 students. In 2010, he received a B.A. in biology—with specialization in neuroscience—from Boston University, where he was a member of the men’s wrestling team. In addition, he received a M.S. from New York Medical College in 2012, graduating with a 4.0 GPA. He was the recipient of the Graduate Faculty Council Award for “excellence in scientific writing, critical analysis, and scholarship. During medical school, Dr. Laurent was elected into Alpha Omega Alpha (AOA) as a junior, and also inducted into the Gold Humanism Honor Society (GHHS). During senior honors convocation, he was awarded the Walter Redisch, M.D., Memorial Award for excellence in physiology, and the Cor et Manus Excellence in Community Service Award. Dr. Laurent is the son of Guy and Rodez Laurent, of Goshen, NY.